This Jack & Jill style bathroom remodel, is located in the Miramar area of Jacksonville. 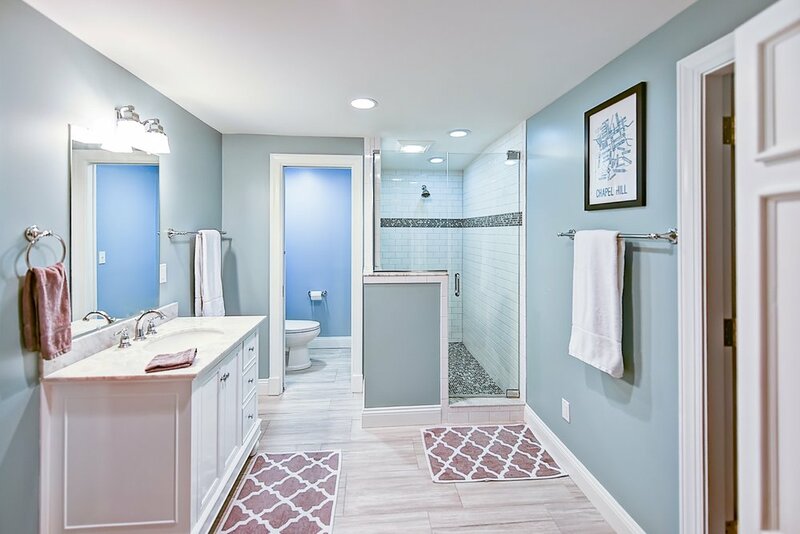 The light colors used on the doors, trim, vanity, and flooring pair wonderfully with the blue covering the walls. This bathroom also offers a spacious shower, with subway tile on the walls, and a secluded toilet room for increased privacy. This bathroom will enthrall all guests who use it!